toppled in a coup d’etat in 1970 by the U.S-backed Marshal Lon Nol. 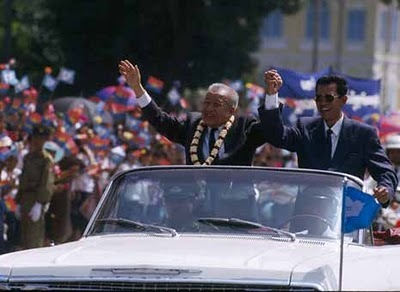 King Father Sihanouk has sent a message of supports to Prime Minister Hun Sen from his Beijing residence, vowing to support him to be prime minister of Cambodia till the end of his life. will never change“, Sihanouk wrote. Mr. Hun Sen is scheduled to have an audience with King Father Sihanouk and the Queen Mother at his residence in Beijing when the premier and his delegation visit China from 13-17 December.